We are proud to announce that Orleans Massage Therapy clinic, Core Elements Registered Massage Therapy, are finalists for “New Business of the Year” and our very own Dawn Oehring RMT is a finalist for “Health Care & Wellness Professional of the Year”! 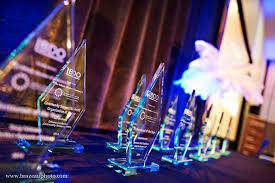 These Business Excellence Awards are presented yearly through The Orleans Chamber of Commerce which is an organization that business leaders join to support the local economy. The Orleans Chamber are business in “Ottawa-East” which include the area from the Ottawa River to the north, up to and including Cumberland Village to the east, Highway 417 to the south, and Vanier Parkway – Riverside Drive to the west. Currently the Orleans Chamber of Commerce has 300+ members! There are are 13 categories for the Awards. All business and individuals are openly nominated by the public and can be a member or non member of the Orleans Chamber. When nominated, businesses and individuals must complete and submit a detailed application to a panel of 4 outside judges, who then decide on the top 4 finalists in each category. The winner in each category are too selected by these panel of judges which is a new and honest decision making technique for the Chamber Awards. It the past the winners in each category were decided through public voting which lead to some bias votes. Winners are announced at the upcoming gala on January 26, 2017. Visit the Orleans Chamber website for the top 4 qualifiers in each category. Core Elements is proud to be nominated and selected as finalists in 2 categories! We strive to provide excellence in customer service and advanced Orleans massage therapy while supporting our community and economy.